If the Traditionalists were the loyal builders, and the Baby Boomers were the competitive, self-actualizing, workaholics, Generation X is the misunderstood slacker generation. Generation X was born between 1965 and 1980, and its members are currently 34 to 49 years old. The least wanted, least parented generation in recent history, Gen X is both 25% smaller than the Baby Boomer generation that preceded it and 25% smaller than the Millennial/Gen Y generation that follows it. Gen X is the product of the economic bust that followed the post-World War II boom, resulting in a generation with lowered expectations, but—arguably—a more realistic understanding of the world than the idealistic Baby Boomers. Gen X’ers grew up in a world where divorce was becoming normal, women were entering the workplace in record numbers, globalization was accelerating, and downward mobility was commonplace. Workplace loyalty was a relic of the past — Gen X’ers knew better than to rely on one company or employer for a lifetime of employment. That simply wasn’t going to happen. Because they grew up as the latchkey generation, Gen X’ers came to rely on friends as family, and, eventually, demanded work-life balance in ways that were foreign to the workaholic Boomers and Traditionalists, who worked long hours, but were richly rewarded for their efforts. Gen X’ers saw things differently—why work long hours and dedicate your life to a single employer when the factory might close and get shipped overseas, or the company might decide to downsize to increase profits? Gen X was also a generation raised on technology, making them potentially a bridge between Boomers and Traditionalists, who tend to view technology with suspicion, and the Millennials, who are so steeped in it that they can’t imagine anyone not knowing how to use the latest gadgets or apps. A typical member of Gen X remembers seeing email and the internet for the first time—and rapidly realizing the possibilities for what it could do (including reducing the need for dreaded face time and meetings). When Gen X entered the workplace, they were immediately, and not entirely fairly, stereotyped as “slackers.” The reality, from the Gen X viewpoint, was simply that they saw through the game, and weren’t going to work long hours and do what they were told when there was no realistic prospect of advancement. The economy had slowed down dramatically by the early 1970s, and wage growth decoupled from productivity gains, meaning workers weren’t benefiting from increased productivity as they had in years past. Gen X wasn’t eager to put in the face time that Boomers and Traditionalists valued, and tried to negotiate new work-life balance options (not entirely successfully, given their relatively small workplace numbers). 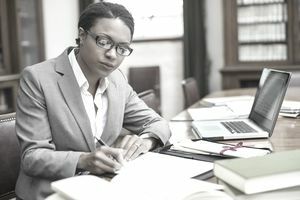 Gen X’ers also found themselves frustrated at the seeming inability of law firms and other legal employers to use technology to streamline work and increase flexibility. These trends have continued, as the new Millennial/Gen Y generation enters the legal workforce and reshapes it in their image.